It’s tough when your buddies turn into tentacle monsters and attack you. Isaac Clarke’s life hasn’t been good for the last few years. One girlfriend was killed and turned into a shambling undead. Then Isaac was kidnapped by the government and forced to build undead creation engines while his dead girlfriend started showing up as a hallucination trying to convince him to destroy all humanity. His new girlfriend then decides to go charging out to save humanity, but Isaac’s had too much and ends up single again and still more than just a bit mad. And then, of course, religious fanatics decide to try to kill him and destroy humanity. He’s really not having a good decade by the time Dead Space 3 starts. Go on, little scavenger bot, scavenge for loose bits. Just ignore that corpse nailed to the wall–it can’t hurt you. If the Dead Space games have a moral to them, that moral would have to be “it gets worse”. In the first game, we have just one planet threatened. The second game gives us the thread of the spread of undead to many planets due to the evil/incompetent government. The latest installation gives us the undead breaking loose through human space due to the evil religious fanatics. This plays out within each game as well: situations get worse even as Isaac seems to be making progress, every success is met by the realization that things are even more difficult than they originally appeared. 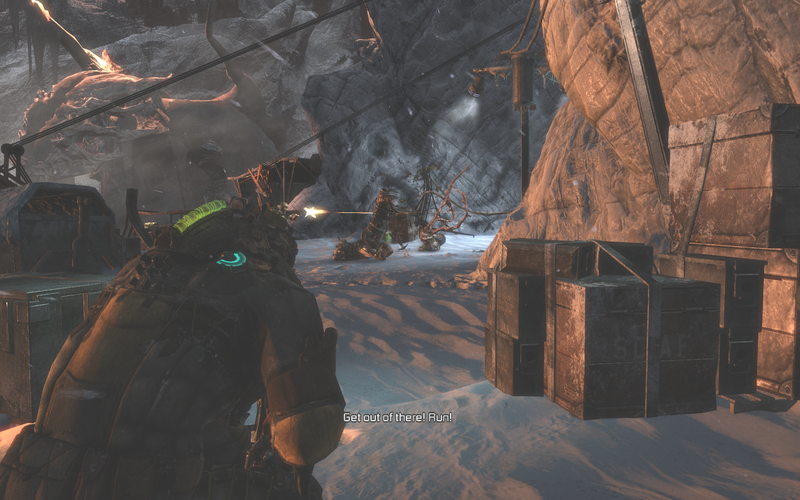 In a sense, this progression is the hallmark of the Dead Space series. Even the endings of each game are, at best, momentary victories with dark overtones. No, no, scavenger bot, I’m sure the semtex is fine. There’s no reason to worry about it. I’m just going to go ahead and continue onward, but you should totally keep scavenging here. 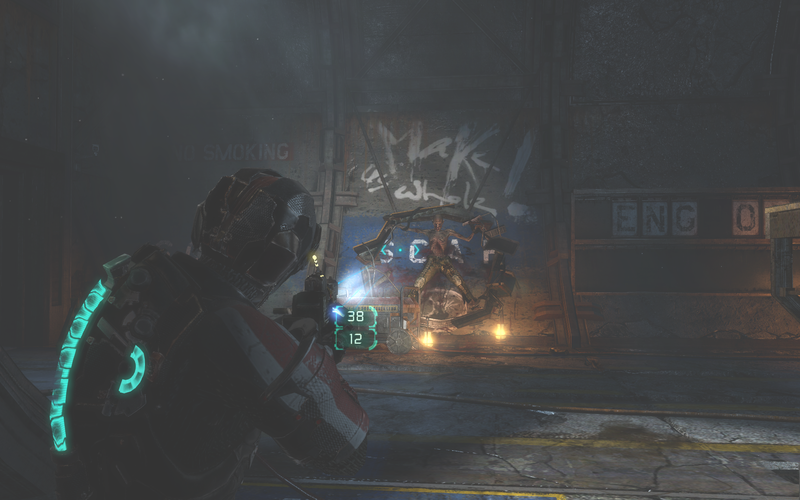 Dead Space 3, as a game, is very similar to its immediate predecessor Dead Space 2. There are some minor improvements this time around, though. The ammo management game is no longer necessary–all weapons use the same type of ammunition. Weapons can now be created and customized allowing for a more diverse set of choices than was previously available. Unfortunately, this weapon creation system is where the first cracks of an insidious Electronic Arts driven money making system appear. Oh good, the science facility. I’m sure that nothing dangerous or nefarious has ever happened here. 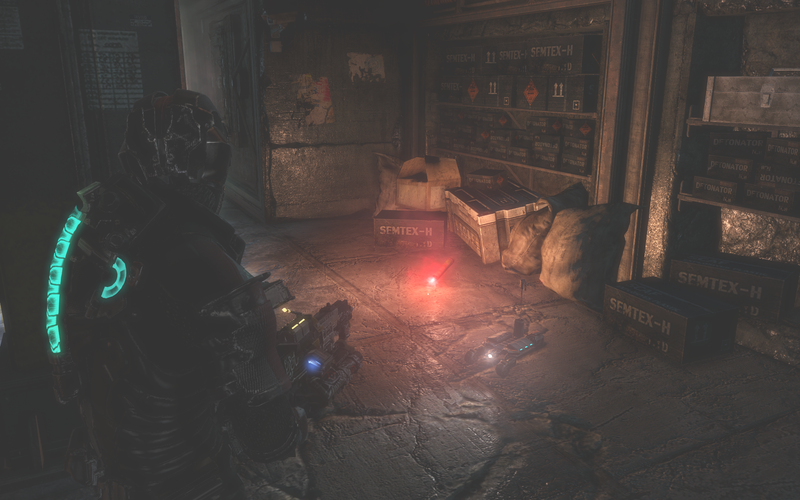 The weapon creation system in Dead Space 3 requires you to find various bits and pieces scattered throughout the game–tungsten, transducers, and other materials. These materials are dropped by enemies and found in boxes, but there aren’t a great deal of them. Some grinding and a bit of bug exploitation can get enough, but in reality their prevalence is very low. Of course, EA has a solution to this: downloadable content. For a few dollars here and there, they’ll give you a large supply of these consumable items. Oh, and if you pre-ordered the game, you’ll also start with a few weapons that are vastly superior to those that are available in the early game and are largely viable until the end game. It is “buying your way to victory” in its worst incarnation. Who keeps nailing these corpses to the walls? I mean, that doesn’t seem like a good use of your time. They just rot and then you have to nail another one up. Maybe someone should take up taxidermy. The money grab in the weapon creation system is bad enough, but even worse than that is the first set of actual story-based DLC for the game. It is set immediately after the apparent end of the game and follows the story to its real conclusion. 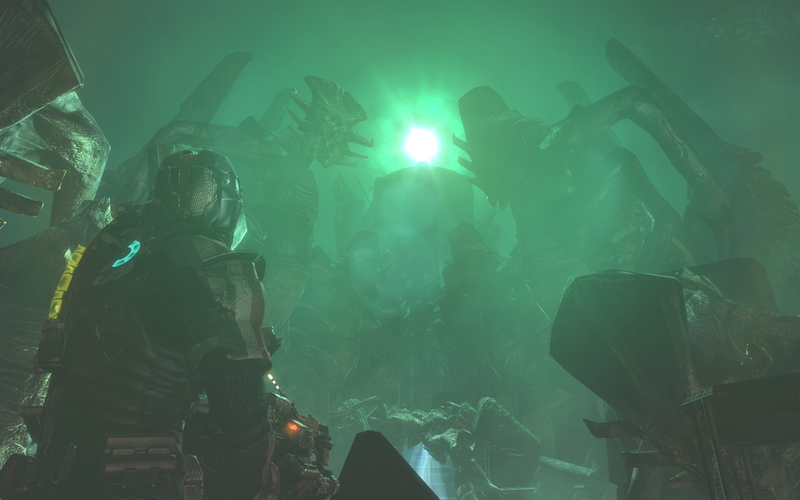 I say real here because the game’s original ending is, in no way, an ending to a Dead Space game. It lacked all of the gloom, hopelessness, and sense of Pyrrhic victory that we’ve come to expect. What does that mean then? We have a $10 mandatory add-on in order to get the experience that we’ve come to expect from the series. And of course, that $10 gets us less than three hours of gameplay. I’m sure that this bit is supposed to be glowing green. Yeah, green is a good color, right? Right? 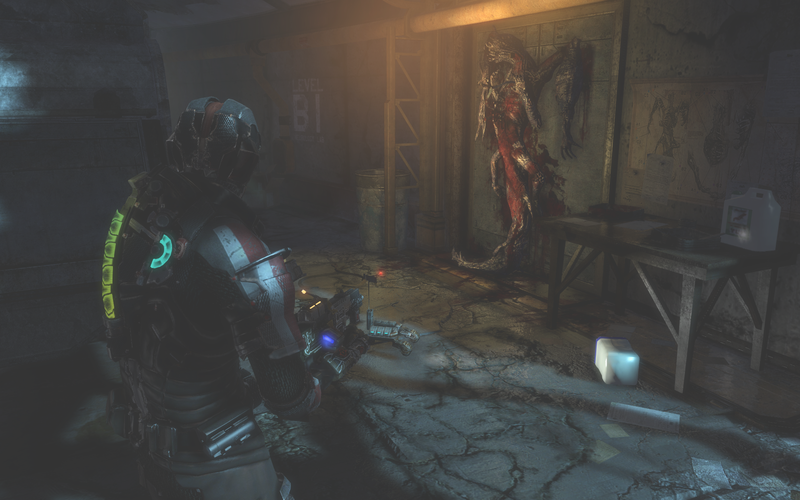 There’s a lot that I liked in this iteration of Dead Space. The idea of a final confrontation and a race to finally make real progress against the necromorphs was compelling, but it ultimately felt like things were pulled down by the nagging attempts to gather real-world money from players. Even though I didn’t succumb to that temptation, the grinding and farming necessary to make up for it distracted from the game itself. And the ending–the one before the DLC–was wholly unsatisfying. 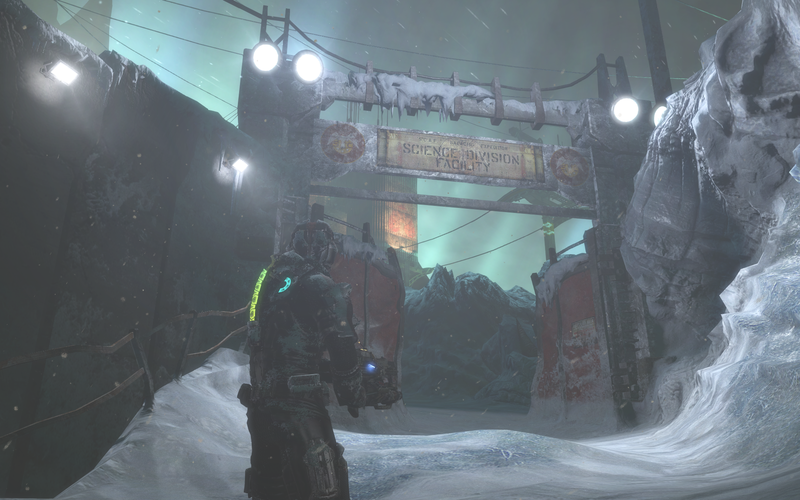 I see in Dead Space 3 a good game hampered by the environment in which it was raised, and that foul influence has made it less than it should have been. This entry was posted in Reviews and tagged 0, PC by guyblade. Bookmark the permalink. If only I could spell…I’ll fix it after work.